If you’re looking for quality accommodation in one of the holiday parks in Dorset, we have a range of excellent options to offer you. Whether you’re looking for a romantic hideaway in a charming cottage, or a well equipped, light and airy lodge for your family group, we have something that will suit your needs. Our portfolio includes contemporary, attractive apartments with swimming pools, and well-appointed, cosily insulated caravans. 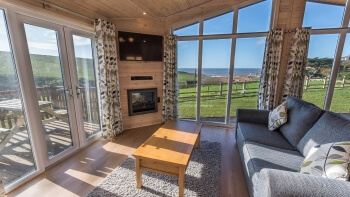 When you book one of our hand-picked properties we do everything we can to make sure that your caravan, lodge, cottage or apartment provides you with an incredible holiday experience. For those who want the stunning views, access to beaches and proximity to the attractions for which the county is renowned, give us a call to discover more about our fantastic options in three of the best holiday parks in Dorset. We have personally inspected every one of our properties so we can help you pick the one that will suit you and your party best. We understand that there are many great locations in the UK for a self-catered break, but we particularly love this region for its spectacular coastal landscape and its romantic links with prehistory. We have selected the caravans, lodges, apartments and cottages that are all located within reach of some of the county’s most impressive natural phenomena. You can visit Lulworth Cove, Chesil Beach and Durdle Door, all of which will inspire awe at the beauty of the ancient geological formations. When you stay with us you’ll be able to spend your days dabbling in local history and culture. From the Jurassic Coast’s fossil collection to Corfe Castle to Sherborne Abbey, this county is a feast for the mind. We offer quality accommodation in places that put our guests on the doorstep of snorkelling adventures in the ledges and rocky coves of the beautiful coastline. You can choose sandy or shingle beaches, and you can lose yourself for hours in the 3,000 miles of hiking trails that wind their way around the area. And if that’s not enough to sell this destination, just remember that this is an ideal location for a UK break – the county gets more sunshine hours and less rain per year than many of other coastal regions in the UK. Get in touch with us so that we can match you with the perfect accommodation to suit your holiday style. If you choose one of our select caravans or lodges in Golden Cap Resort you’ll find yourself a mere 150 yards from the beautiful Seatown Beach. Nestled in 2,000 acres of National Trust Land, holidaymakers who choose to stay in this resort enjoy the proximity of nature and the rural surroundings. They also appreciate the convenience of the onsite facilities such as the pizza takeaway and children’s play area. 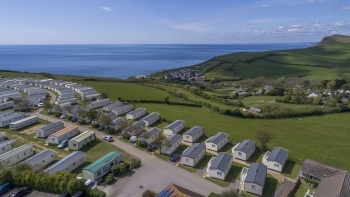 Guests who are looking for even more self-contained facilities are recommended to talk to us about booking a stay in Golden Cap's sister resort, Highlands End, which is one of the best-equipped holiday parks in Dorset. In addition to breathtaking panoramic views of the Jurassic Coast, the resort offers its guests access to a bar/restaurant, a leisure club, a pool, sauna, steam room and children’s area. 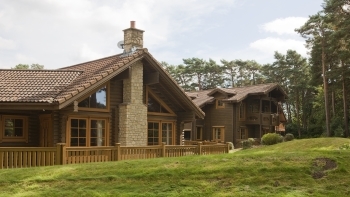 For something a little special, consider the Dorset Resort, with its quaint self-catered cottages and lodges inspired by the log cabin look. It's ideal if you’re into golf, fishing and walking. There is a 27-hole Championship course where you can play a round or two or even take lessons. Woodland walks abound, guests can access private fishing lakes, and you can unwind at the end of the day in the fitness centre and nail and beauty salon. Whether you opt for one of the holiday parks in Dorset or a self-catered cottage in a charming local village, we can find you something that will welcome your pet, your children or just you and your significant other. If you want some help in identifying that perfect property for a perfect getaway, then give our team a call on 01275 371133.